From desert art installations to chic Santa Fe galleries, New Mexico is a culture-lover’s paradise. 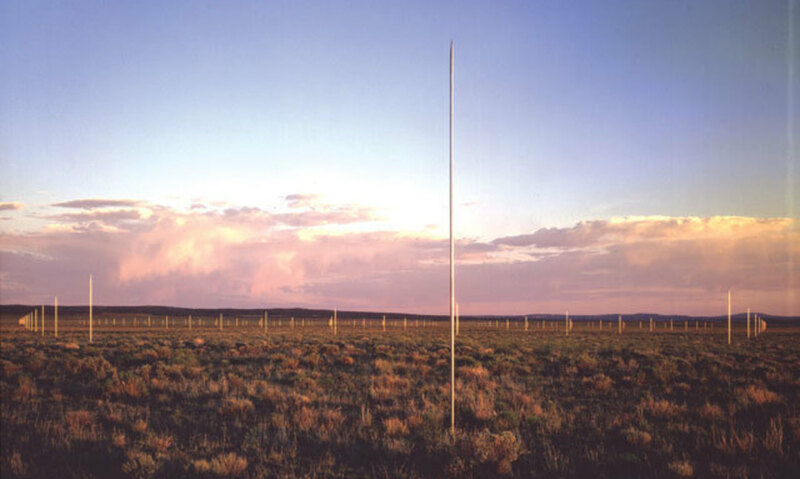 To see The Lightning Field—Walter de Maria’s 1977 earth art masterpiece—you must fly to Albuquerque, rent a car, and drive three hours southwest to the small town of Quemado, where you park your car and climb into a van, together with five other guests, for the 45-minute trip down unmarked dirt roads to a log cabin—the group’s home for the next 18 hours. Outside the cabin is the reason you’ve come: a grid of 400 stainless steel poles sprouting from the almost perfectly flat desert landscape like metallic candles on a giant birthday cake. The poles, which average about 20 feet high, are evenly distributed over a flat, rectangular area a mile long and a kilometer wide. The tips of them rise to the same height; they could theoretically support a flat sheet of glass. I recently paid $250 to New York’s Dia Art Foundation, which maintains The Lightning Field, for the privilege of making this pilgrimage. When I first arrived at the cabin and surveyed the vast field of poles, I felt distinctly underwhelmed, wondering whether my money would have been better spent on a five-star hotel instead of a primitive cabin in the middle of nowhere. In the mid-afternoon sunlight the poles were barely visible, fading into the landscape. I had made the trip from Quemado with my father and four strangers—all from Houston, as it turned out—and now that we had settled into our rustic accommodations, we split up to explore the metal forest. 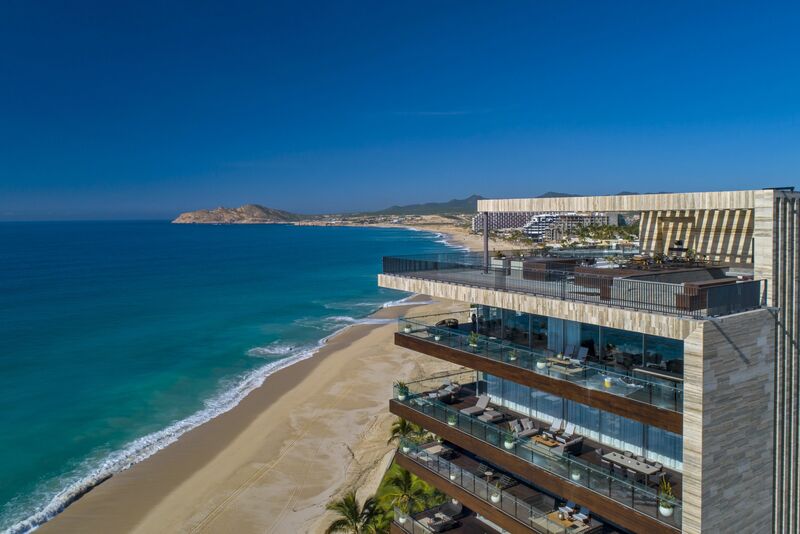 My father grabbed his binoculars and walked off in one direction; I changed into workout clothes and took a jog around the field’s perimeter, dodging giant anthills and the occasional cactus while marveling at Walter de Maria’s chutzpah in conceiving and executing such an audacious project. De Maria, who died in July, spent five years driving a truck through the southwestern United States before finally finding, in this remote corner of New Mexico, what he was looking for—a large, flat area of land prone to lightning strikes that he could buy and transform into his envisioned grid. Of course, lightning isn’t something that most visitors can count on seeing; the last lightning storm was three weeks before my visit, according to the site’s caretaker, who drove us to the field. So although the internet is full of photos of lightning striking the poles, the odds of seeing it on your one night at the field are low. But that’s okay. The real show at The Lightning Field occurs at sunset, when those hitherto-invisible metal poles suddenly light up like the birthday candles they resemble. Sitting on the cabin’s porch, I watched the poles change from pale yellow to neon orange to a faint rust color as the sun slid over the horizon. What had previously disappeared into the background was now a luminous field of glowing vertical beacons, like a signal to an extraterrestrial race. What, I wondered, will future civilizations think when they discover this strange work? SITE Santa Fe. Courtesy of SITE Santa Fe. 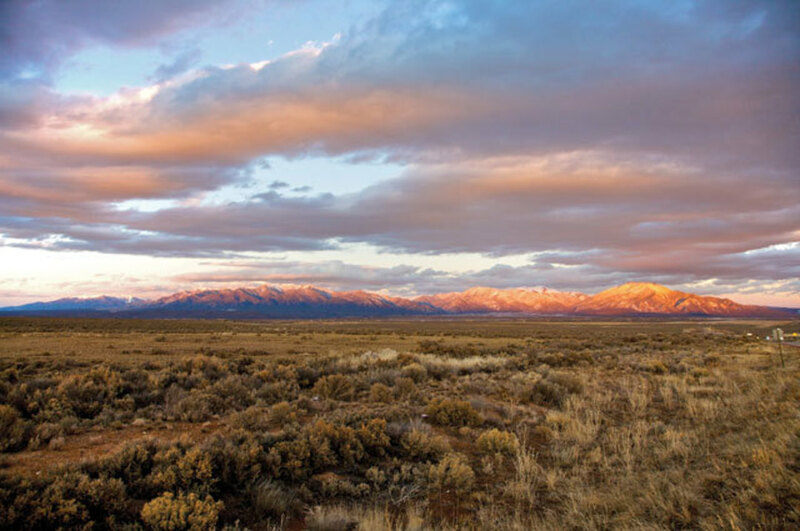 For a town of approximately 5,700 people, Taos is generously supplied with art galleries, art museums, art supply stores, and pretty much every other art-related resource you can imagine. My favorite galleries were David Anthony Fine Art, which specializes in photography, and the 203 Fine Art, which occupies a 200-year-old adobe house and offers an excellent selection of postwar works by Taos artists. Unlike the galleries, you have to pay—often steeply—to visit the town’s many museums. The best bet is the Harwood Museum, whose entrance is marked by a dramatic sculpture by Bill Barrett, and which features an octagonal room, seemingly inspired by the Rothko Chapel, filled with white abstract paintings by Agnes Martin and furniture by Donald Judd. The Taos Art Museum and the Blumenschein Museum are both located in historic turn-of-the-century homes, which are sometimes more interesting than what’s hanging on the wall. After a long day of art appreciation, I took the short drive to El Meze restaurant, where I enjoyed the spectacular view of the Taos Mountains from the covered patio while dining on grilled hearts of romaine salad, whole trout garnished with mint and cilantro, and an exquisite dessert of nectarines and double-vanilla ice cream topped with candied almonds. I ended the evening at the Taos Inn’s Adobe Bar, where an open-mic night had drawn a capacity crowd. Taking the only available seat at the bar, I ordered a Santa Fe Brewing Company pale ale and listened to a succession of singer-songwriters entertain the crowd. The man next to me soon entered into a discussion with the bartender as to whether restaurant bills should be rounded up to the nearest nickel. “We should just get rid of change,” the man finally declared. It seemed like a very Taos thing to say. La Posada de Taos. Courtesy of La Posada de Taos. If Taos is where the artists live, the adobe fantasyland of Santa Fe, an hour and a half south, is where most of the art is sold. 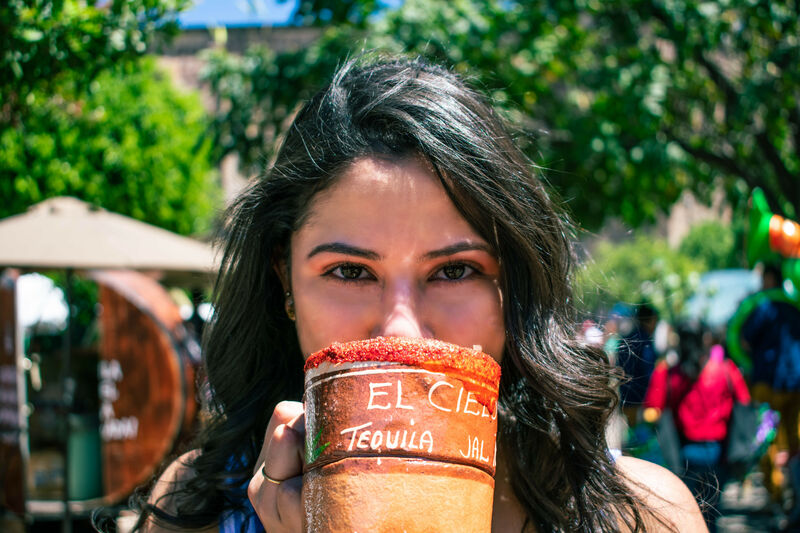 A city of 70,000 people, Santa Fe boasts around 300 art galleries and claims to be the third largest art market in the country after New York and Los Angeles. 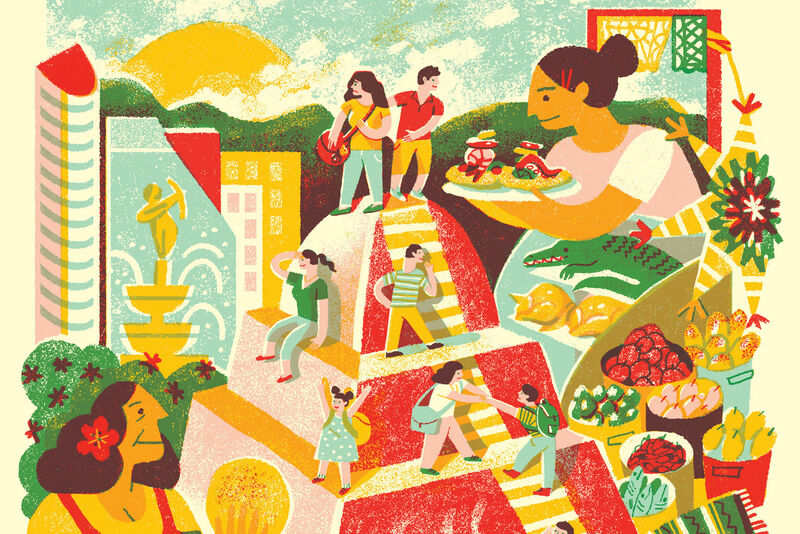 In the Canyon Road art district—walking distance from the main plaza—are about 120 galleries, although these cater mainly to tourists and skew toward the kitschy and sentimental. More serious art lovers will want to skip Canyon Road entirely and head to the recently developed Railyard District, which features a wide array of high-end galleries, a few hip cafes, and the Santa Fe Farmers Market. 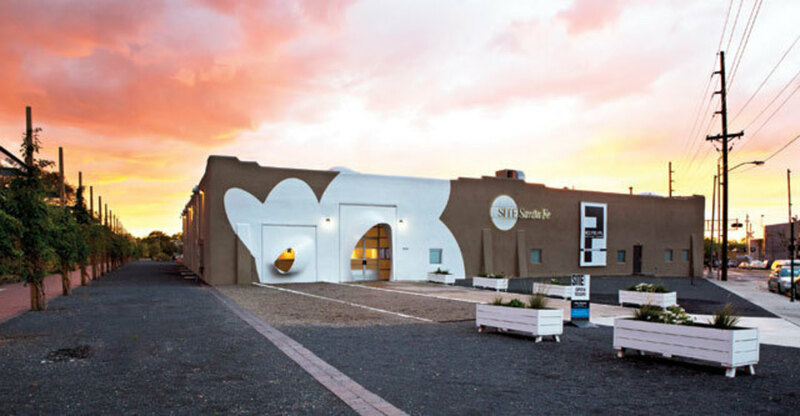 Anchoring the development is SITE Santa Fe, a hangar-sized avant-garde art space that hosts the Santa Fe Biennial, which occurs in even-numbered years. When I visited, the space was filled by a massive multimedia installation by Cuban-American artist Enrique Martínez Celaya. Across the street from SITE are Santa Fe’s toniest galleries. Many of them, like the multi-story LewAllen Contemporary, are virtually indistinguishable from museums in appearance, except for the price tags next to the paintings. My favorites were Charlotte Jackson Fine Art, the James Kelly Contemporary Gallery, and the David Richard Gallery, where you could pick up a spectacular Judy Chicago canvas for only a few hundred thousand dollars. Like Taos, Santa Fe seems to have a museum on every corner. Probably the most famous is the Georgia O’Keeffe Museum, which houses a small but superb sampling of the painter who, more than any other, has come to be associated with New Mexico. The adjacent New Mexico Museum of Art is well worth a visit too, as is the Museum of Contemporary Native Arts. And if all the gallery- and museum-hopping leaves you exhausted, don’t worry—most of Santa Fe’s best hotels are within walking distance of the downtown plaza. The one where I stayed, the Inn on the Alameda, is conveniently located at the bottom of Canyon Road and offers private balconies with most rooms. Included in the price are a lavish continental breakfast and a wine-and-cheese hour each afternoon. 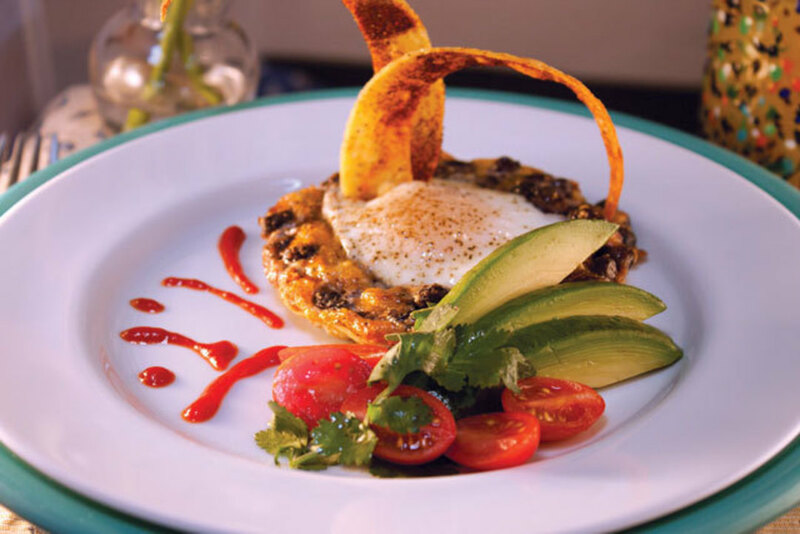 No travel story about New Mexico is complete without mentioning the state’s signature Southwestern cuisine or its signature ingredient: green chile. (New Mexicans spell chile with an “e.”) Local restaurants put green chile on everything: enchiladas, chiles rellenos, sopapillas (another local staple), even hamburgers. Despite its reputation, however, I found the state’s chile rather mild until I got to Horseman’s Haven, a truck stop restaurant on the outskirts of Santa Fe, where I ordered a sopapilla stuffed with ground beef and beans and smothered with cheese and chile (per Houstonia Food Editor Robb Walsh’s recommendation, I ordered “Christmas” chile—half green and half red.) The dish was big enough to feed a horse and spicy enough to bring tears to my eyes. Now this, I thought to myself as I dabbed my eyes with a napkin, is a true work of art.